Have you ever wondered why there are so many vacant homes in San Antonio? I do all the time, and most of them have been vacant for a very long time. Recently I’ve been looking closer into vacant home in San Antonio and here are some of the things I’ve run into. Most of them were inherited, which is fine except that it’s usually a few family members now deciding what to do with the property. For instance one brother wants to sell, the other wants too much for the house and the sister doesn’t want to sell for sentimental reasons. Usually the one who wants to keep the property doesn’t have the money to buy the others out. Which means the house gets neglected and starts to fall apart. Yes falls apart leaving it available for vagrants and animals to take over. Are you in one of these situations? Well there are options. How about owner financing the property to an investor? That means the property begins to produce income for everyone. The siblings no longer have to pay property taxes or city fines. Yes you can put money in your pocket and make everyone happy even the neighbors. Don’t let your vacant/inherited home fall to pieces! Call someone or us as soon as possible. The longer you wait the more work your home starts to need. Sell your home fast! We will give you options that will work for everyone. Are you saying “I just want to sell my home fast!” Well we can do that also. We buy houses in and around San Antonio and we pay cash. I drove by a friends home about a year ago and saw that the home was vacant and now was home to vagrants and who know what else. I grew up hanging around that house with friends. So I decided to look up who owned the house now. My friend and his mother had passed away so I wasn’t to sure who owned it. The good ol Bexar county appraisal district showed that it belonged to my friends niece. It also provided an address. Sent a letter to her letting here know that I was an old friend of her uncle and wondered what she planned on doing with the home? “I plan on fixing it up one of these days” the niece says. Well it’s been vacant for a good 10 years. And you know why she won’t sell, because she promised her grandma she would never sell the house. Making a promise to grandma should be kept, but I’m sure grandma didn’t expect the house to be neglected. Pretty sure the neighbors aren’t real happy either. So if you have a vacant homes in San Antonio and are not sure what to do let me give you some options. 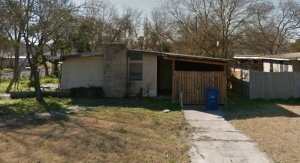 Don’t forget we buy houses in San Antonio in any condition. We’ll help rebuild grandmas house! Sell us your vacant home today! Consider owner financing to an investor like ourselves or we’ll buy it cash!